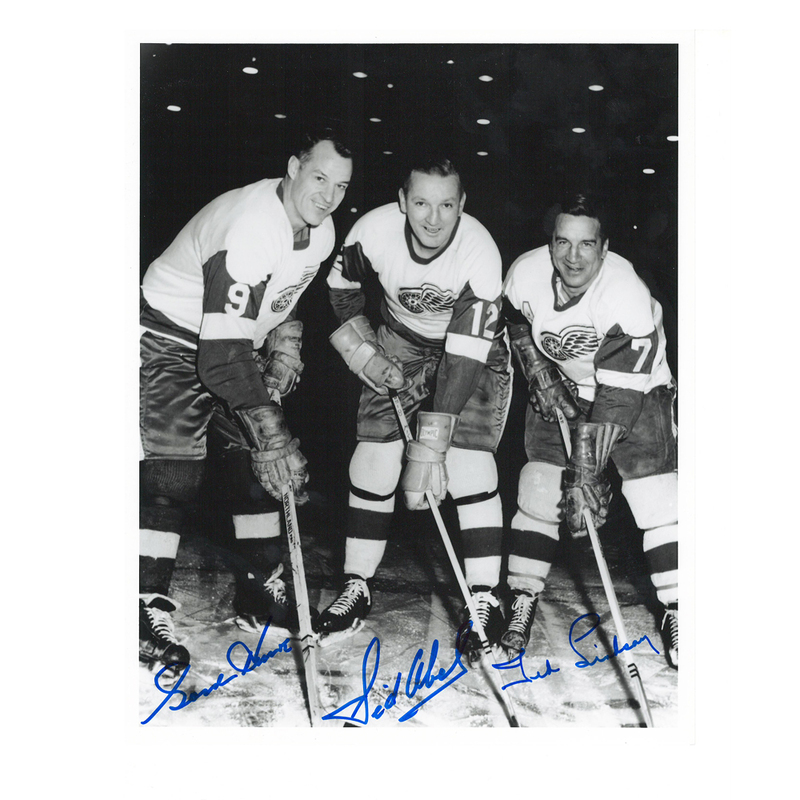 Autographed Gordie Howe, Sid Abel, and Ted Lindsay "Production Line" Detroit Red Wings 8 X 10 Photo. This photo would make a terrific addition to your collection. All of our Autographed Memorabilia comes with our Certificate of Authenticity. Thanks and GOOD LUCK ! !